Is there a way for me to view the data from event once it is over? Download and view event data and participant information. Yes! 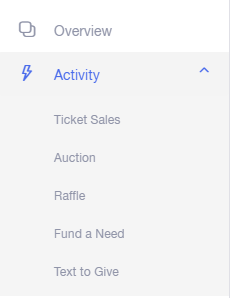 You can view and download data on the Activity page in the left side navigation menu. Once you click on 'Activity' you can select the module that you would like to view the data for.